Every once in a while an opportunity comes along that is quite special, the people are nice and easy to work with, the product is outstanding and yes, they pay on time. 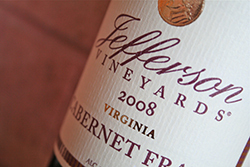 Jefferson Vineyards – Great history and great wine, but sometimes it is hard to differentiate your product among so many competitors, to separate the good stuff from what is served to the tourists in the tasting houses that dot Charlottesville. 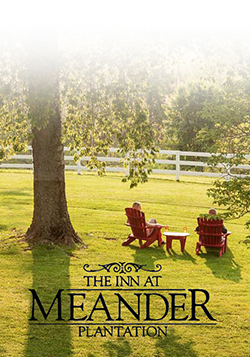 This is where Jefferson planted the smuggled grape vines that arrived in the new America in a diplomatic pouch from France and where he replanted the vineyard after the Hessians used it for steeplechases during the War of 1812. A few award winning bottles strategically placed went a very long way, sales soared.